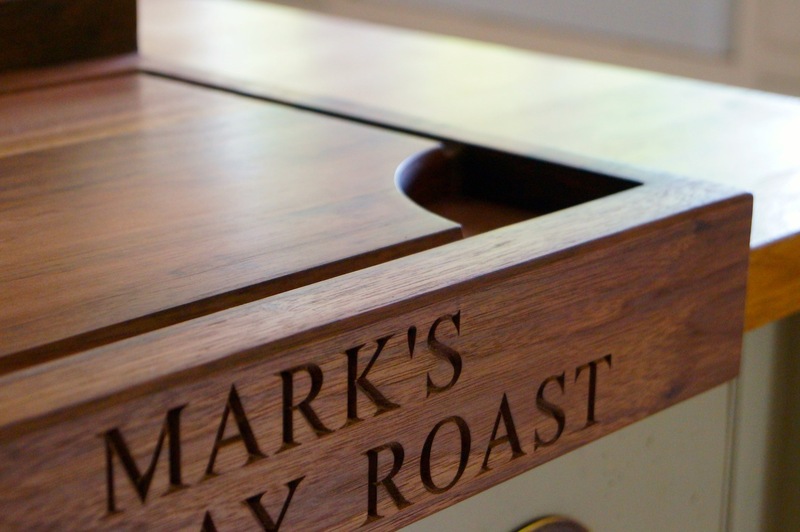 Our handcrafted Wooden Cutting Board with Lip are constructed from the finest American hardwood. 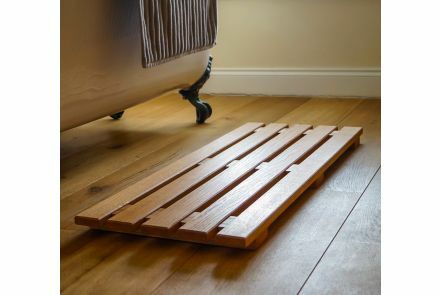 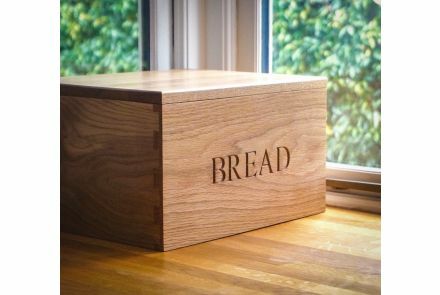 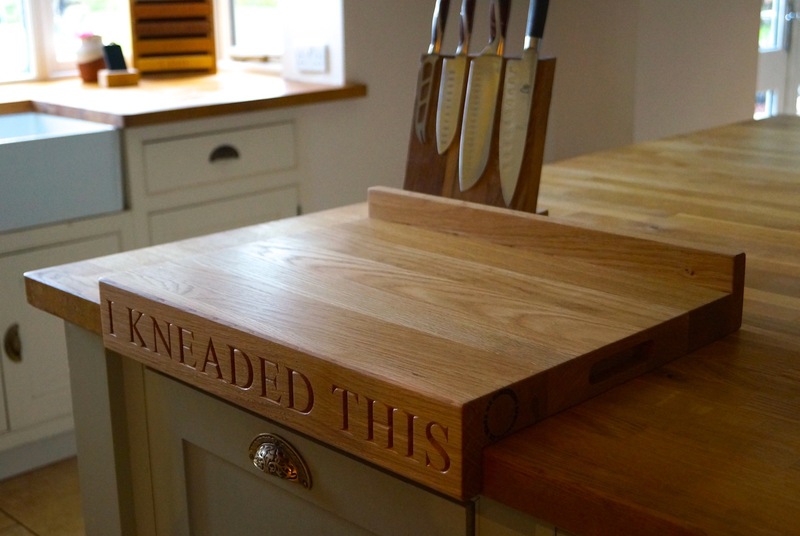 The board is designed with an overhang to keep it steady when cutting or kneading. 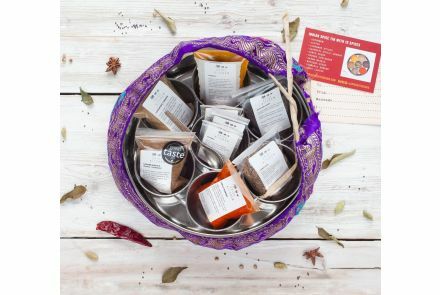 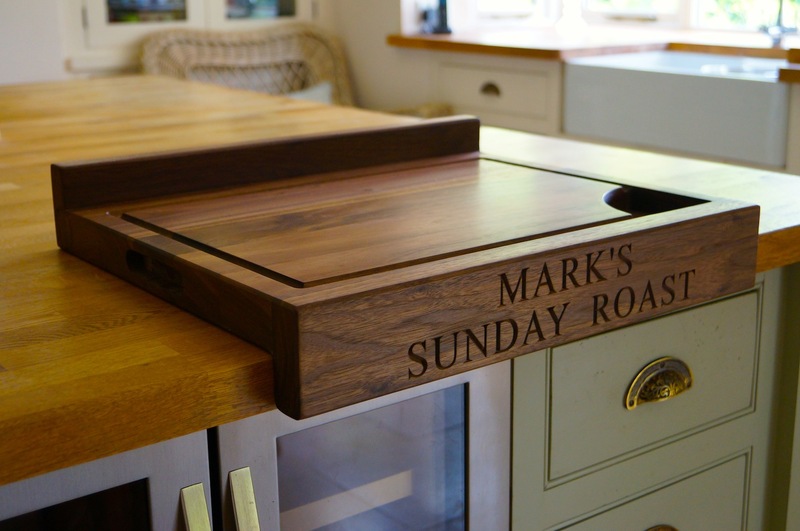 It is very thick and wide given ample space for food preparation, perfect for the busy chef in the family. 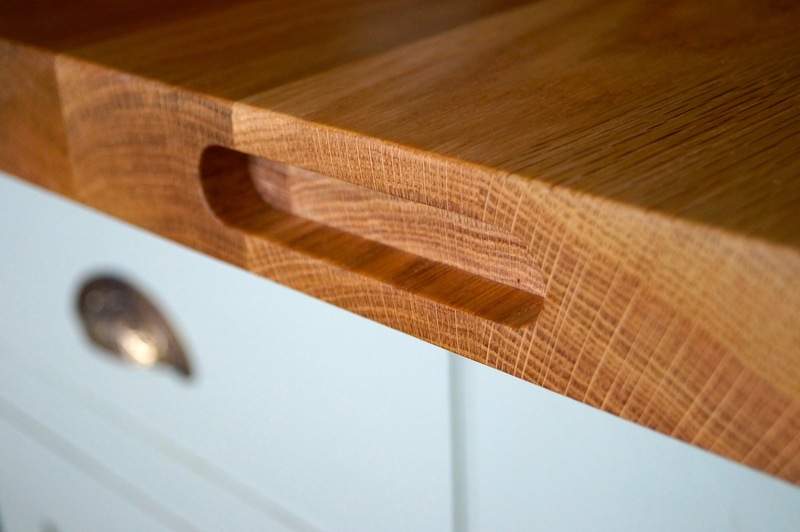 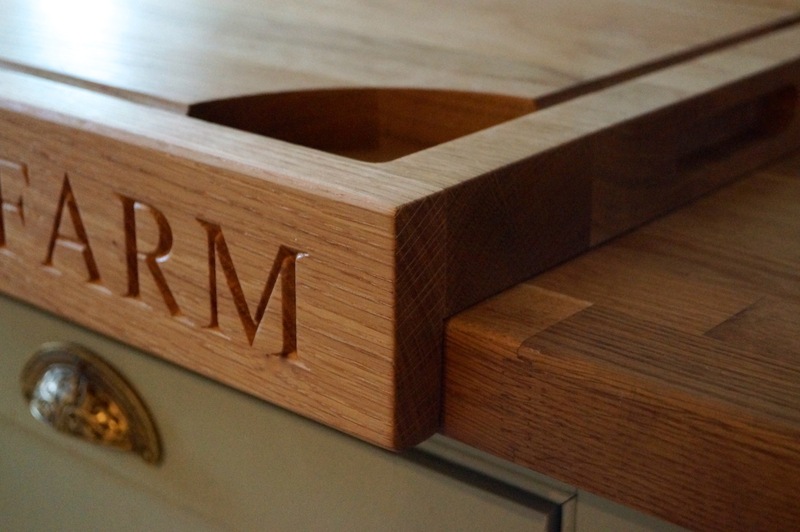 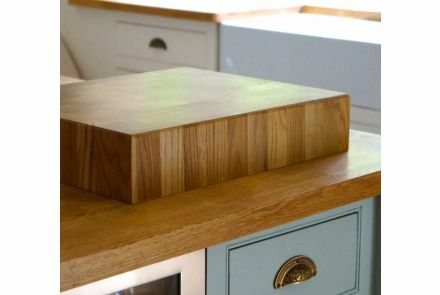 These stunning chopping boards can be made with either one or two-lipped edges. 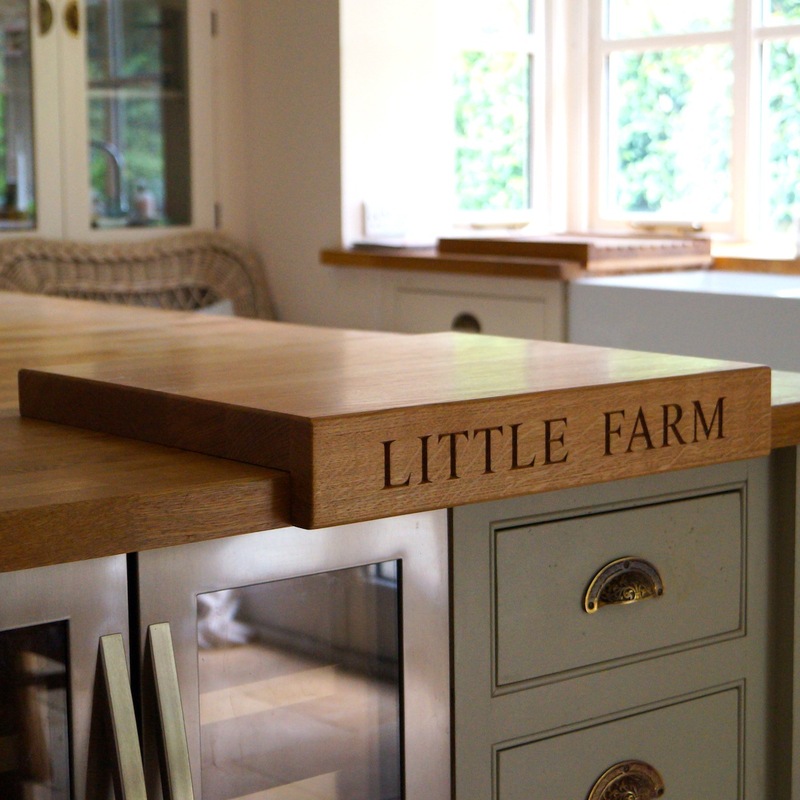 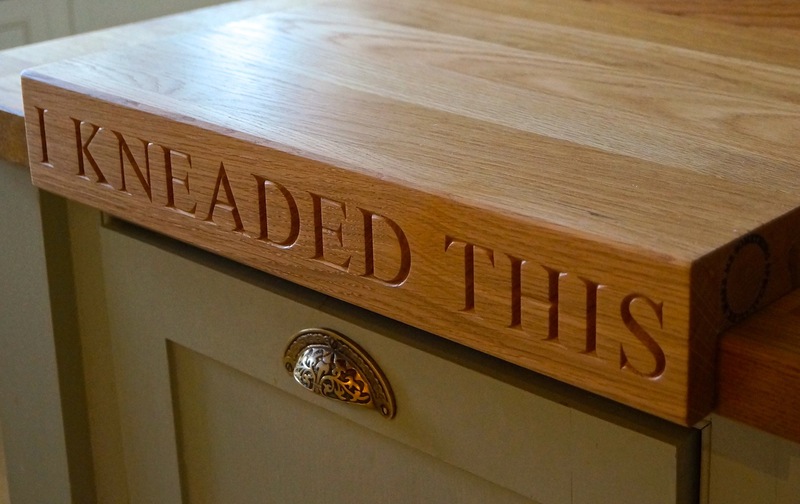 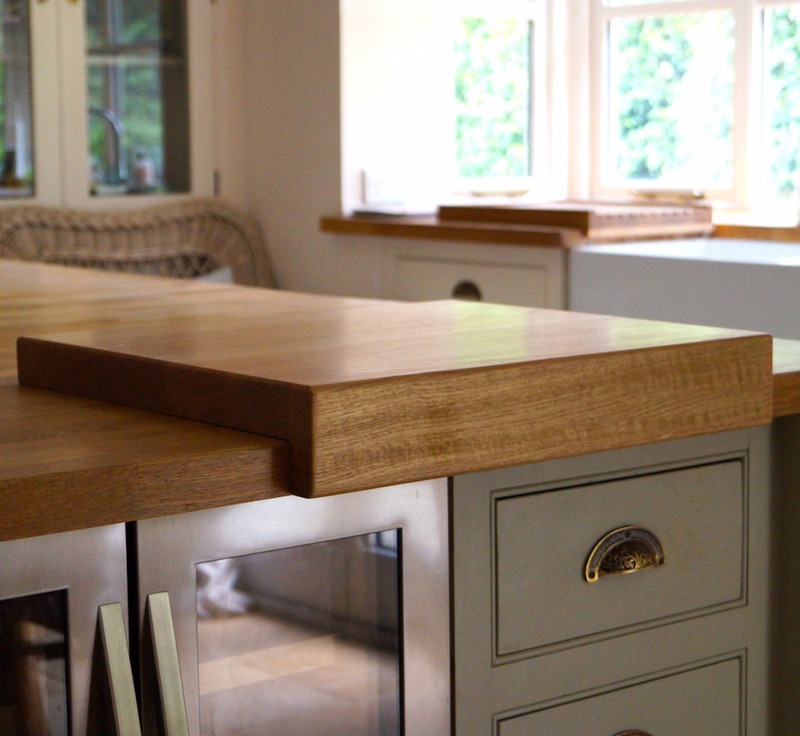 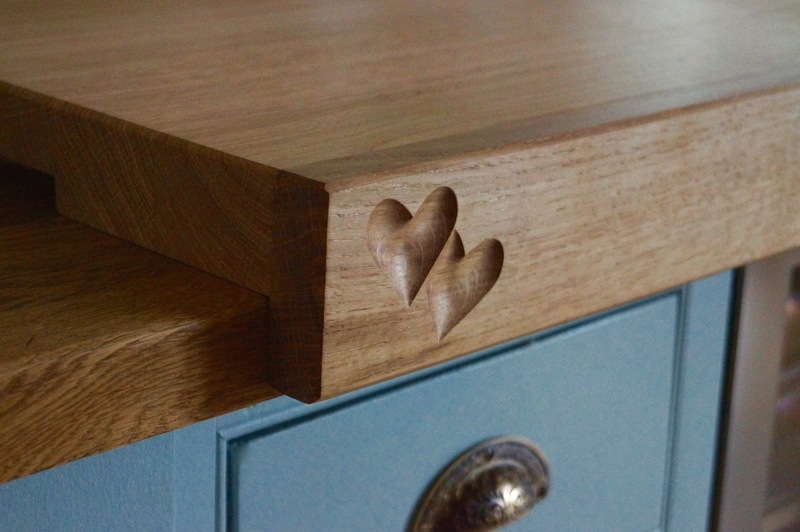 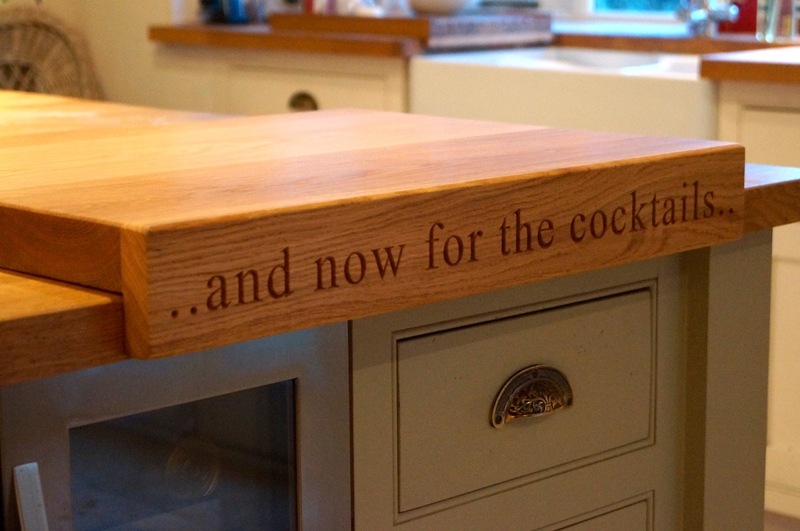 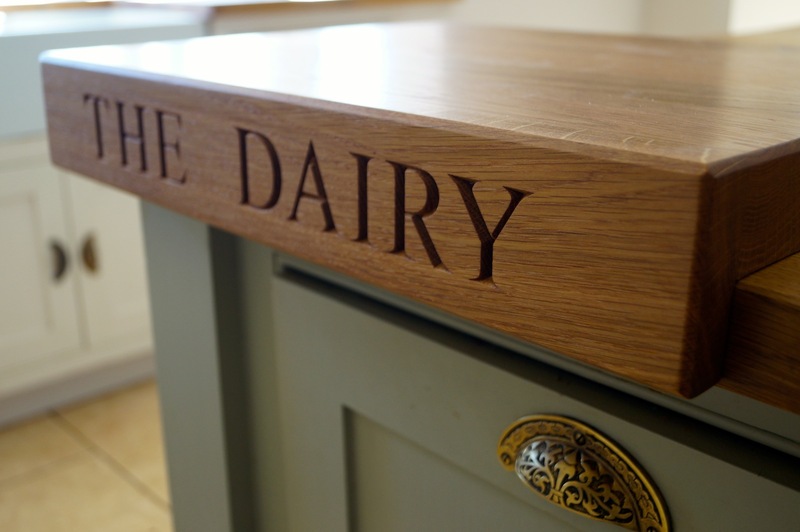 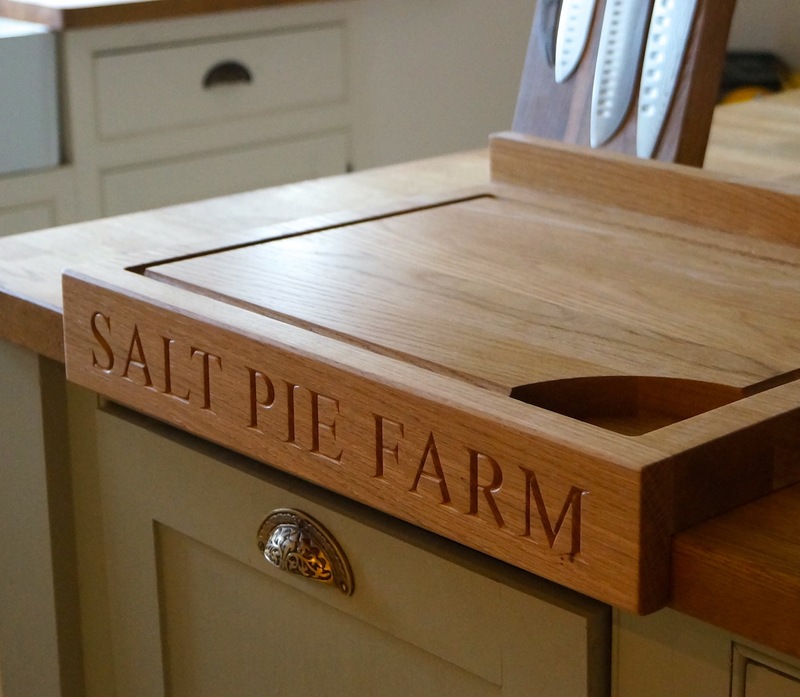 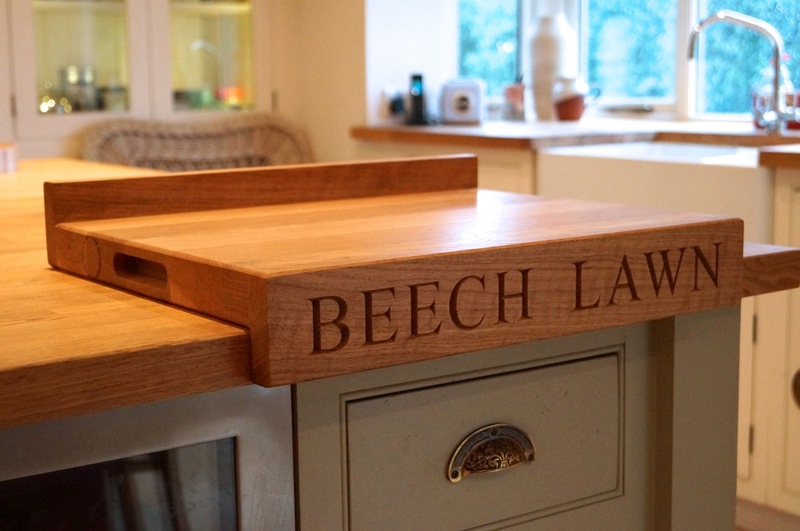 The two-lipped edge board is unique in design and allows you to have one blank chopping board surface and then be turned over to reveal a beautiful carving board with juice grooves and a well to catch those lovely meat juices, ready for you to add to your delicious gravy. 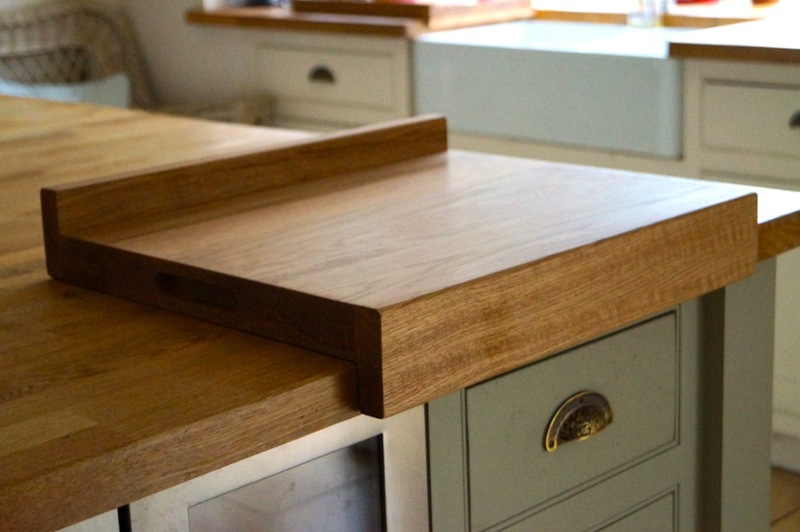 The cutting board also features side handles for easy lift & turning. 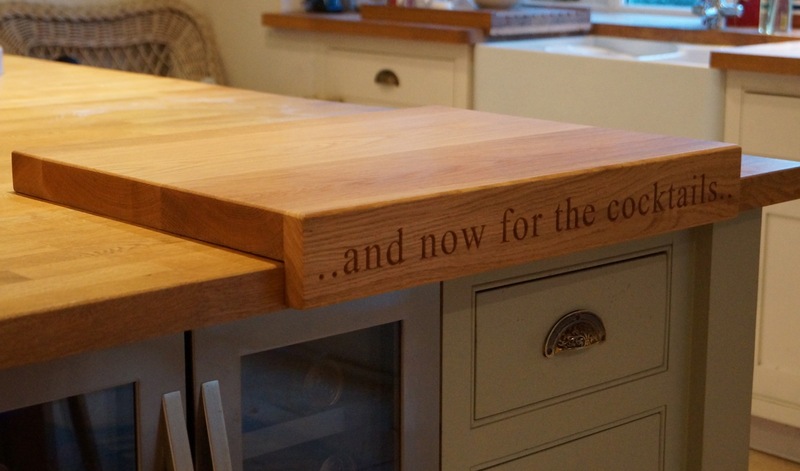 This is a truly solid cutting board that is guaranteed to last a lifetime. 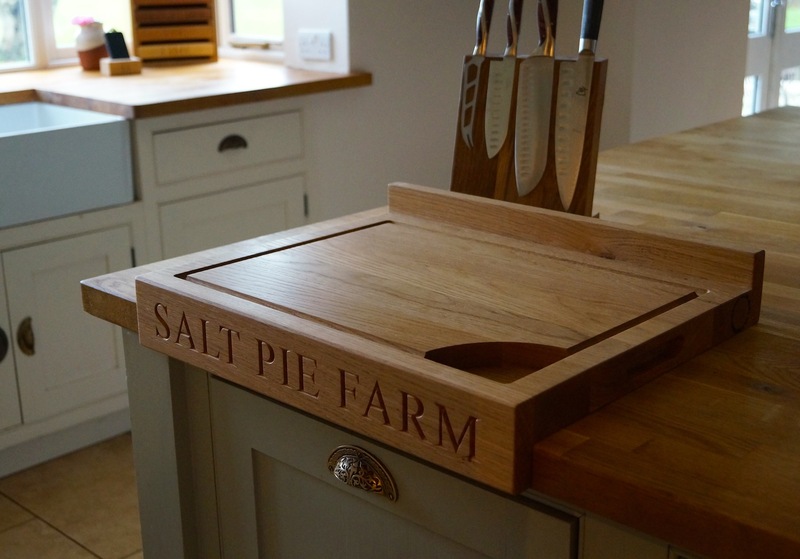 All of our these lipped cutting boards are handmade from full-length staves and measure 4.5cm thick with an extra 4cm overhang. 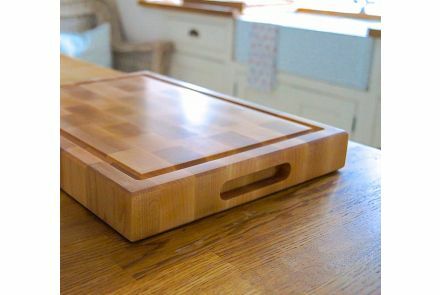 Cutting boards are finished with 10 coats of water & heat and alcohol resistant Liberon Superior Danish Oil for maximum protection. 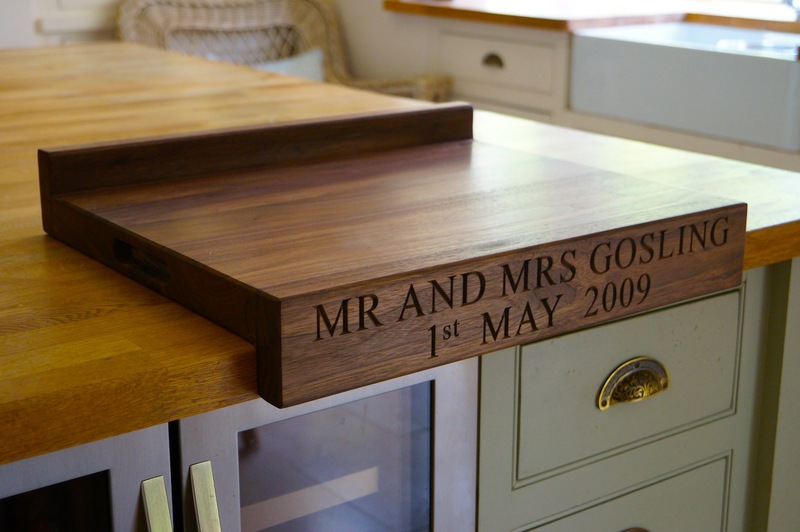 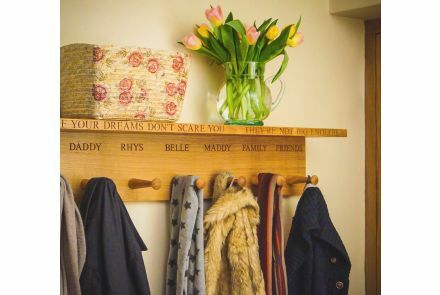 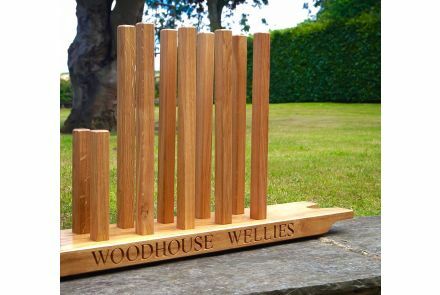 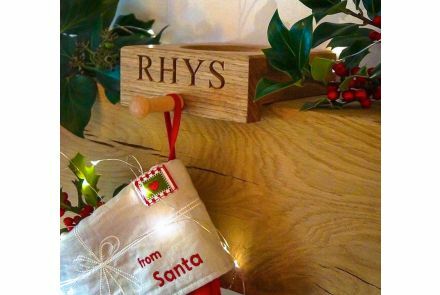 Personalisation: available blank or with your choice of engraved lettering up to 20 characters on the front face - on front and back faces if choosing double lip option. 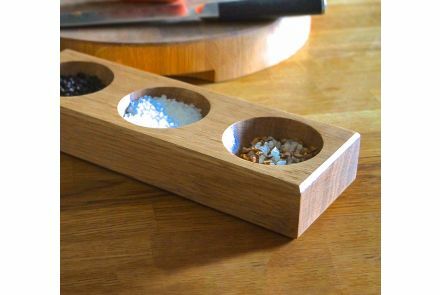 4.5cm x 40cm x 50cm (2” x 16” x 20”) Overhanging lipped edge measures 4cm.